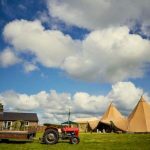 We deliver our bespoke tipi, marquee hire and events management services nationwide, helping our clients to recreate their vision of the most perfect and memorable event – no matter how big or small. 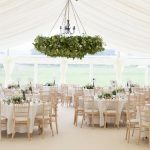 All of our bespoke marquees and tipis can be furnished and fitted to personal preference and individual taste and we work with a variety of partners to help source the most cost-effective and high-quality accessories and furnishings. 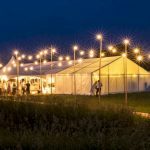 All about me deliver bespoke tipi, marquee hire and events management services nationwide, helping our clients to recreate their vision of the most perfect and memorable event – no matter how big or small. All about me are also committed to being right there with you every step of the way to ensure that your special event runs as smoothly as possible on the day or night, so you can sit back and relax knowing that expert help is on hand should you need it! The majority of the All about me crew are MUTA StructureSafe and first aid trained so you can rest assured that you’re in safe and capable hands with All About Me. Take the stress out of your wedding day with excellent food and service to make your day one to remember. A professional service for your boardroom lunch, office party, product launch or promotional event.